This is a compilation of my ten (10) most popular projects. 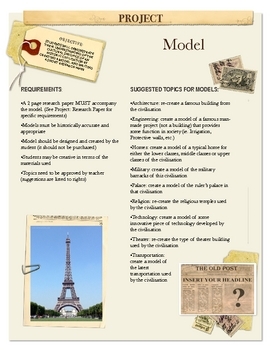 (NOTE: The Projects are available in a modifiable Word document as well so that they may be adapted to other subjects.) 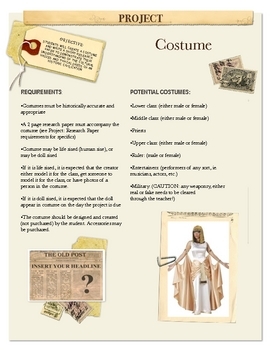 The download includes the Costume, the Fact Cards, the Model, the Movie, the Research Paper, the Newspaper, the Oral Presentation, the Poster, the Power Point and the Travel Brochure. Each project includes objectives, requirements, potential topics and a grading rubric which evaluates written and creative components. 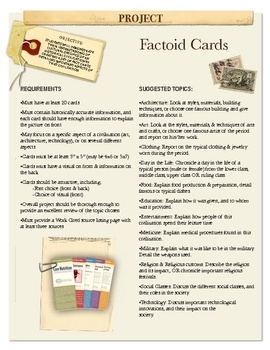 These projects can be administered as individual or group projects. 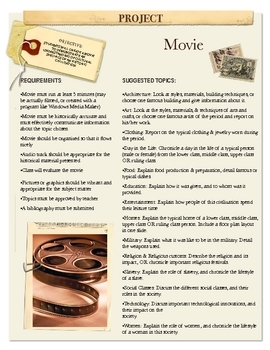 (Group evaluation rubrics are included.) Cheaper than purchasing each project separately! Projects: The Top Ten by The Lady Lion is licensed under a Creative Commons Attribution-NonCommercial-ShareAlike 3.0 Unported License.